The new Science wing at Bryanston School is now open. 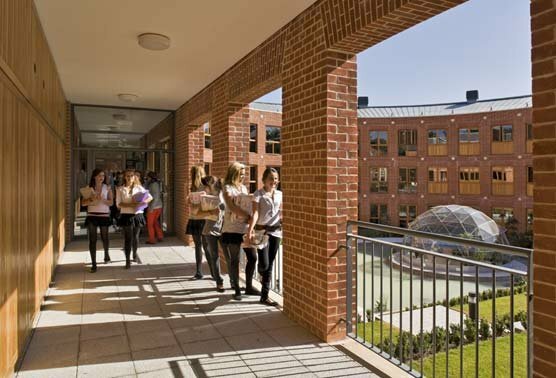 Biology, Physics, Chemistry and Maths Departments are be housed in a three-storey building, arranged around a semicircular courtyard. In Building Design magazine, Ellis Woodman said "Bryanston's new maths and science wing develops the school's tentative courtyard with a crescent that meets its overbearing context with a human scale." For the full article, click the link below.